When you think of great Australian Franchises, Boost Juice, Ferguson Plarre, Bakers Delight, Kwik Kopy and G.J. Gardner are just a few of the names that spring to mind. Sometimes a little bit of inspiration is all it takes to leap from small business to entrepreneurial success. Let’s take the journey with these successful entrepreneurs and their rise from 1 to many. From the kitchen table in her Melbourne home in 2000 to 175 Boost Juice stores in Australia and New Zealand within 4 years, Janine Allis is just one of Australia’s triumphant stories. In their first 5 years, Boost Juice achieved a phenomenal 95% consumer awareness rating. By 2007, Boost was in UK, Chile, Kuwait, Singapore, Indonesia and Thailand and succeeded growing their bottom line by over 20% through the GFC. Concurrently, Janine went on to acquire four Salsas Fresh Mex Grill stores in 2007, expanding out to nearly 50 stores with a new store opening every 6 weeks during 2012 and basking in a 7% growth in sales in all financial years from 2009 – 2012. 18 years later, she has added Retail Zoo, CIBO, Expresso, Shark Tank Investor, Michael Hill and author to her accolades and you can see why she is a testament to how one person, a kitchen table and unwavering passion will take you to new heights. This building company was founded by Greg Gardner in 1983 with a passion to provide a “better option” to the residential construction company sector. In 1995 with Darren Wallis as CEO, they began franchising their 6 corporate offices on the East Coast of Australia and then grew into New Zealand. Less than a decade later, in 2005, and now one of Australia and New Zealand’s most successful building companies, Darren Wallis set off to the USA— one man and one major meeting led to him battling through the USA GFC and financial crisis of 2008 to achieve profits exceeding $6 million by 2011. From a single builder to purely a franchise firm with over 120 offices worldwide, G.J. Gardner continues to reap the awards and accolades for the vision and hunger to build the dream. From humble beginnings, Eliza Ferguson in 1857 and Otto Plarre in 1911 started their own separate bakery businesses. Their businesses survived alongside each other through World Wars and the Great Depression. In 1980, the two families joined forces to become Ferguson Plarre until in 2012. After 32 years in partnership, with over 50 stores, countless accolades and awards, the Plarre Family purchased the Ferguson family’s interests. In 1987, they began to franchise and by 2017 celebrated their 66th store. Today, they are still a wholly family-owned business, purely Australian, with over 66 stores. They have the top website for sourcing celebration cakes and have been in the Top 10 franchises 5 years in a row. 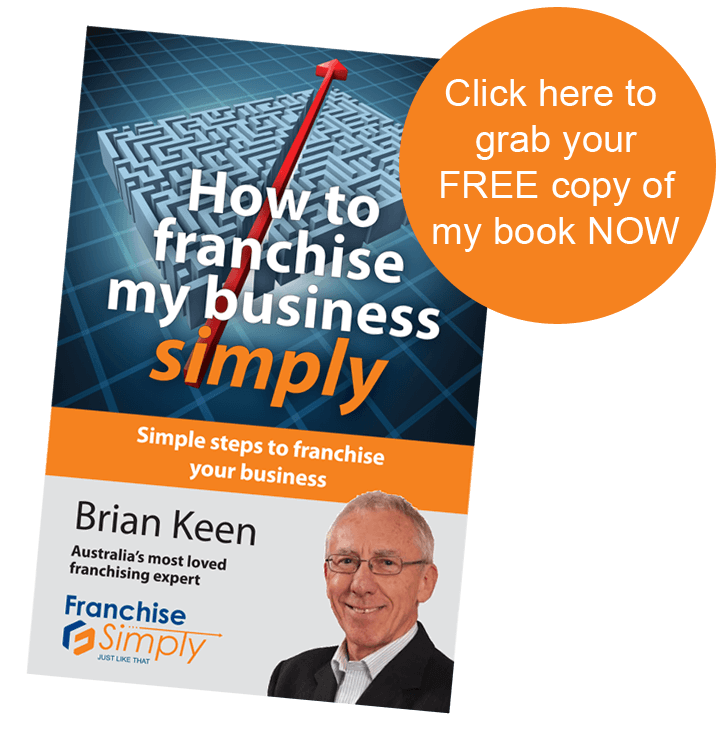 At Franchise Simply, clients such as Wade Morse of Base Zero began in 2007 with one location and is now franchising existing corporate locations in Sydney and Brisbane. Guy Thompson founder of Bar Bellacino began in 1997 with their QVB location in Sydney and expanded with several stores until they opened their first franchise in 2014. In 2018 they offer several franchise opportunities on Australia’s east coast. Remember, every franchising success story started with one person, or one idea, or one location — and grew from there. Sure, small business franchise success stories take work and it takes smarts, but the only difference between your business and a success story like those above is doing it right. So what does the next step in your journey look like?